T-Mobile, Verizon and Vodafone already signed up to sell it. 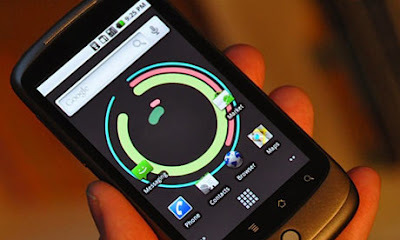 After weeks of speculation, Google has officially unveiled its new Nexus One Android handset, which it claims "belongs in the emerging class of devices which we call 'superphones'". As expected, the handset runs the latest version of the Android OS - version 2.1 - and has been made by HTC. It's got a 3.7-inch touchscreen and runs off Qualcomm's 1GHz Snapdragon chipset. Google has launched its own web-store to sell selected Android handsets, starting with the Nexus One. It's being sold SIM-free for $529, shipping to the US, UK, Singapore and Hong Kong. However, T-Mobile USA will be selling it for $179 on a two-year contract. One thing for sure, Google is nailing the Operator to the wall by directly selling to consumers. And I m sure some will be sold in China soon. Meanwhile, Verizon Wireless and Vodafone will also be selling the handset from Spring, although no pricing details have been announced. As you'd expect from a Google-branded phone, the Nexus One features all Google's apps, including Gmail, Google Voice and Google Maps Navigation. A new, whizzier version of Google Earth was also unveiled at the event, with desktop-like 3D fly-throughs. Other entertainment-focused features include voice recognition integrated deep into the device, 'live' wallpapers, and a 3D photo-browsing gallery. The voice recognition was showed off at the launch by composing an email in Gmail by talking into the phone. There's also a trackball for navigation below the touchscreen - interesting, given RIM's recent abandoning of trackballs in favour of trackpads. However, the fact that the trackball can pulse different colours to serve as notifications is a nifty selling point (for us ubergeeks, anyway). One final note for app developers: Google confirmed at the event that it will soon drop its limit on the storage space available for apps on Android handsets.